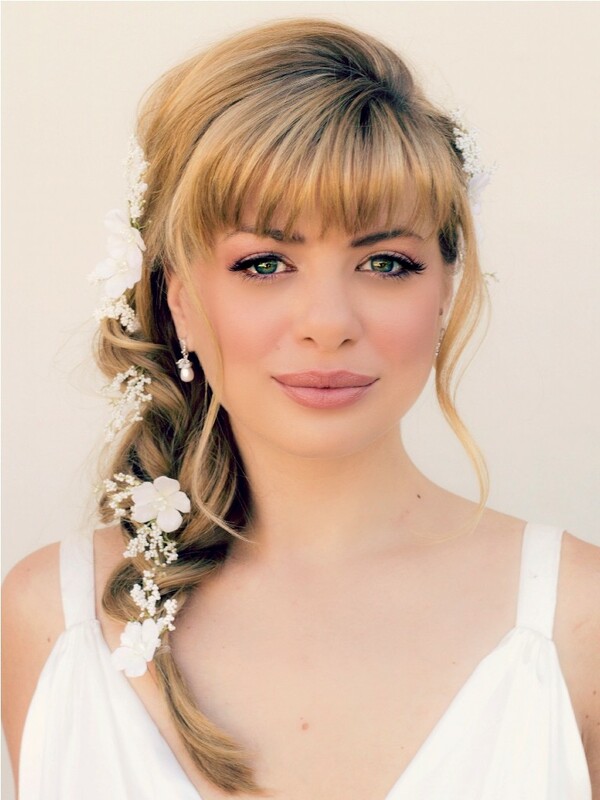 Wedding Hairstyles With Bangs – Bangs or fringes are back in style with vengeance. Hairstyles with bangs are hot hot hot in 2016. Whether your face is round, oval, square, oblong, or heart-shaped, there are bangs for you. Bangs or fringes come in so many flattering styles including full bangs, straight blunt bangs, wispy bangs, long straight bangs, choppy, cropped, and side-swept bangs. 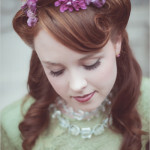 Every hair makeover you see on television and in magazines these days, comes out with a new hairstyle with bangs. In the fashion runways, hairstyles with bangs are very prominent this year. Celebrities, including Reese Witherspoon, Rachel McAdams, Rihanna, and Taylor Swift, are sporting hairstyles with full bangs. Everyone can wear bangs. Yes, even round faces. It just depends on what style of bangs to wear. There are so many flattering styles to choose from. Bangs are not only “in” in 2016, bangs are also a great way to change your looks without making a drastic change. To help you choose which bangs will be perfect for you, ask the help of your hairstylist. 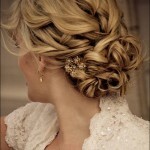 If you have a particular hairstyle in mind, bring a picture of the hairstyle with you on your next hair appointment. Here are some tips from the fashion experts on which bangs or fringes will look good for round, square, oblong, heart-shaped, and oval face.